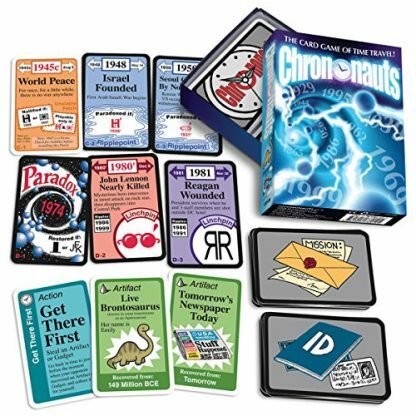 A time-traveling card game doesn’t sound exciting for most people, but your History teacher will certainly appreciate this! Consisting of 135 cards, Chrononauts is a fast-paced time travel card game that can be played by up to 6 players. Players of the game will have a chance to alter history – but one should be careful with paradoxes, or the whole universe would come crashing down. If your History teacher only has the power to time travel, they would certainly do things that can alter the course of history as we know today. However, since a time traveling machine has yet to be invented, all we can do for now is to “time travel” using historical facts and a little bit of imagination. 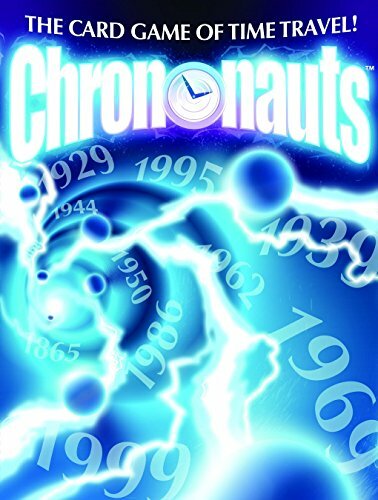 Chrononauts is a fast, exciting, multi-layered time travel card game for 1-6 players. 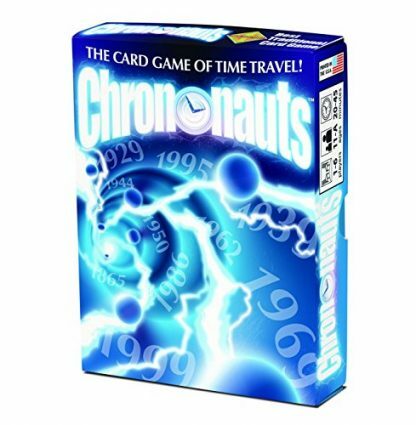 Your History teacher will certainly love this card game because they can at least pretend-play as a time traveler. This game features a unique 32-card timeline deck that are used to track Ripples and Paradoxes. As time travelers, players seek to return to their original alternate realities by changing history (such as preventing assassinations and averting disasters such as the sinking of the Titanic) or collecting historical artifacts. Players can also play as Time Repair Agents if things aren’t exactly going their way. Game time can cover 20-45 minutes. Suitable for players aged 11 and up. Aside from History teachers, this game is also suitable for kids and teenagers! So it is also a great gift for nephews and nieces who might like to pretend play with a Historical twist. It is a great card game for the whole family too! 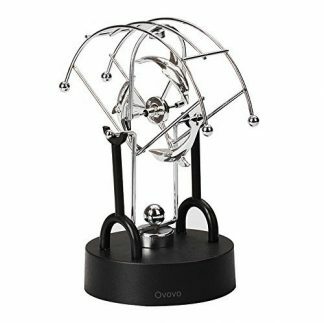 And its moderate play time is enough to pass up some idle time without being too long and boring for impatient kids. This card game makes a great gift for birthdays, Christmas and New Years! 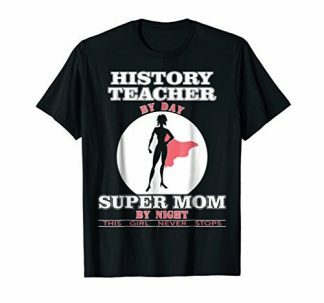 You can also give it to your History teacher on Teacher’s Day or Graduation Day as a gift of appreciation. 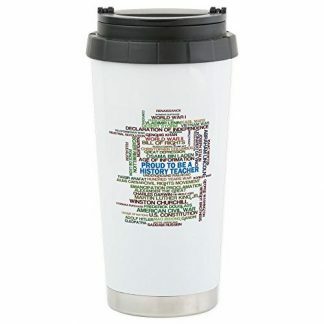 It is also a great gift for friends who are History buffs, or are students of History, Literature and Social Science!